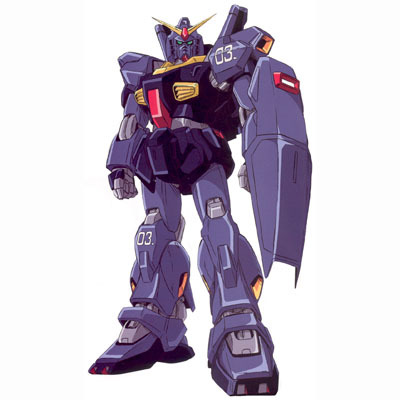 Not to be outdone by Japan's life-sized mecha statue, China is building a giant knockoff Gundam of its own. 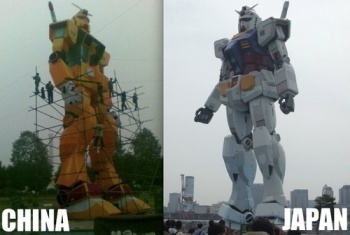 A quick recap: Last year, Japan built a full-scale, life-size version of the eponymous giant robot from groundbreaking anime Mobile Suit Gundam. Then, they tore it down. Then they put it back up again, because let's face it, it was too cool to not have around. Apparently, someone in China agrees. As the photo seen here to the right indicates, a theme park in Szechuan province has been hard at work on its own Gundam statue. Sure, it's a bit smaller than the real deal and inexplicably painted orange, but there's no mistaking it for what it is. The 30-year-old anime franchise has reportedly been gaining popularity in China in recent years, so this may be designed to take advantage of that. Or maybe not. Maybe the guys running this theme park just saw photos of the Gundam in Odaiba online and said, "Oh snap, we totally need one of those for our own place!" Then they made it happen. China's copyright laws have always been notoriously lax, after all, and this wouldn't be the first time that we've seen a knockoff tourist attraction in the Middle Kingdom. I just have one question: Why is it orange? If you're going to do an alternate paint job, at least do something cool like painting it Titans' colors. Hell, if it was red, they could pretend it was the Guncannon. Orange just doesn't work very well for this sort of thing at all.